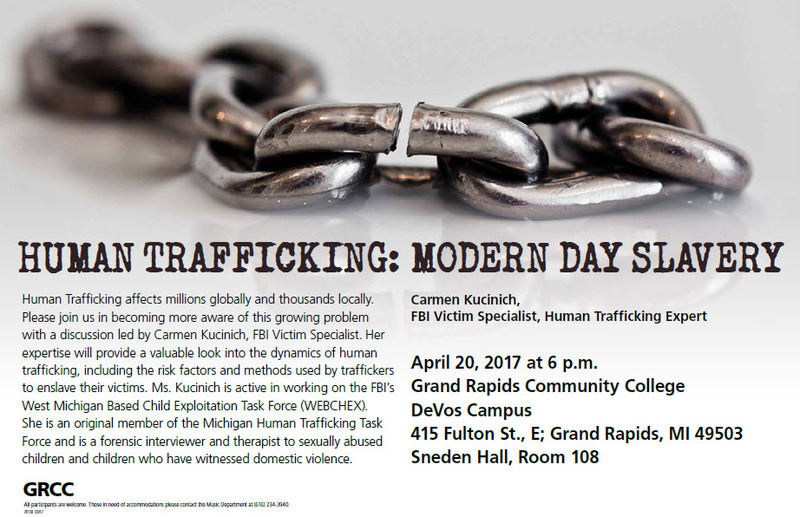 FBI Victim Specialist Carmen Kucinich will share her expertise on human trafficking in Michigan. Learn the risk factors and methods used by traffickers to enslave their victims. Ms. Kucinich works on the FBI’s West Michigan Based Child Exploitation Task Force (WEBCHEX) and is an original member of the Michigan Human Trafficking Task Force. Your GRCC Library has books and videos and the Points of View database offers a topical overview with links to articles on trafficking. On-campus networked users click right into the resources. Off-campus and wireless users will be prompted to logon with last name and 7-digit Raider number. Points of View Reference Center (POV) is a full-text database that will help you think critically about today’s controversial topics. POV is great for writing position papers, developing arguments, and for debating. POV includes content on 370+ topics. Each topic is supported with leading political magazines from all sides of the political spectrum, newspapers, radio and TV news transcripts, primary source documents and reference books. 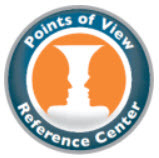 You’ll find Points of View Reference Center on the Library’s Database page, as well as on the Debate & Controversy, and other Subject Guides. On-campus networked users can click right into the database. Off-campus and wireless users need to logon with last name and 7-digit Raider number. Try it today!